I feel summer has finally reached the northern half of Minnesota. With a solid week of above freezing temperatures it's a pretty good indication the season of shorts, bonfires and hammock camping has descended upon us. 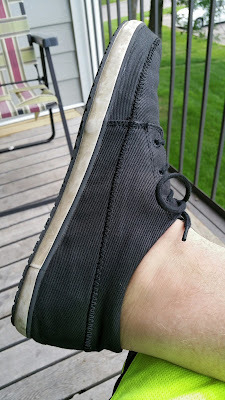 That means it's time to pull out the shoes that don't require socks and wont have your feet feel like they are standing directly in a puddle of your own sweat. 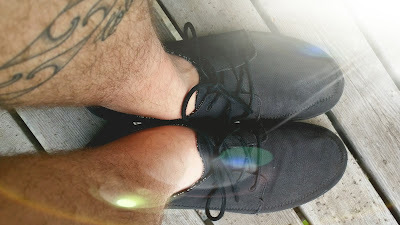 I have a couple pair of Sanuk shoes and they are quickly becoming one of my favorite shoe brands. The flag ship Side Walk Surfers absolutely rock and I have even scored a couple pair on the cheap at Goodwill. Anything I can slip on without bending over is a win in my book. That being said I was in desperate need of an actual shoe to wear around. The Sanuk Cassius is an excellent mix of summer and professional footwear. These lightweight breathable footwear dominates the outdoors as well as wearing them to work in the office. The cushioning antimicrobial insole makes me feet happy all day, and if it's Friday well into the night. I absolutely love the look of these shoes. I got the all black which looks professional enough to rock at the office, head home throw on a pair of shorts and bam, you're ready to go play some yard games, sit around a bonfire with a couple friends and enjoy some cold beverages. 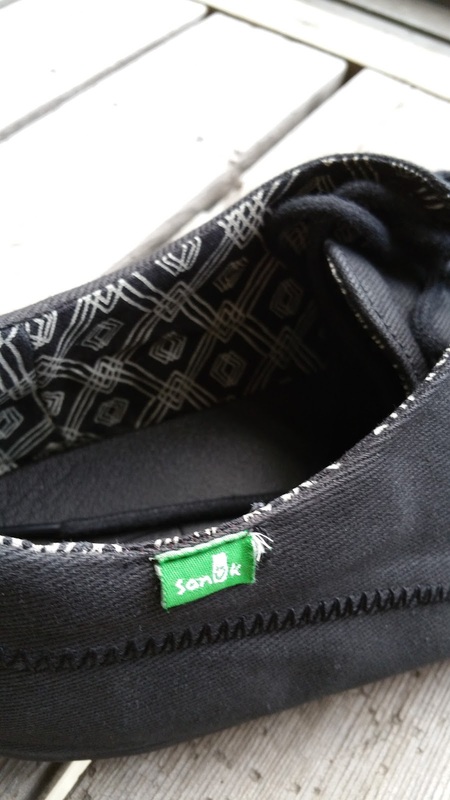 I've heard about Sanuk years before I finally got my hands on a pair. I have never been disappointed, the Cassius may not allow for a slip on without bending over but it more then makes up for it with its extreme versatility and comfort. If my entire shoe collection was made up of Sanuks, I wouldn't be upset.